In case you need another reminder, the best app for sending NSA-proof self-destructing messages is called Wickr, and it beats the pants off of Snapchat. Snapchat was in the news this week with a bit of a faceplant— the company can no longer legally claim that messages sent through its app actually disappear, which seems to circumvent the entire motivation one might have for using it. In settling its case with the Federal Trade Commission, Snapchat has to implement an in-depth privacy program and it will be monitored by a privacy professional for the next 20 years. "The Snapchat news is great news for us," said Nico Sell, co-founder of Wickr, another private messaging app. "I feel like I have all these novice skiers following me down a double black diamond run." In keeping with its theme of super-secure messaging, Wickr takes its name in reference to the burning wick or fuse that would kick off the introduction to the classic "Mission Impossible" television show. Wickr's strength is in just how little it knows about its users. That is, nothing at all. "We have no data on our users, and we did that purposefully because I'm a hacker and I know that if I had data, someone would get it," Sell said. "Wickr uses a 'shredder' that removes messages and pictures from your phone as soon their timers run out, even if that data is already in your phone's 'trash.' Ironically, our shredder will also remove Snapchat data if it's still on your device, so using Wickr actually makes Snapchat more secure." Before you dismiss this as a super-specific messaging app for privacy wonks, you should know that PC Magazine rated it as a better messaging app than Viber, Confide, and Google Hangouts — not as a better "secure messaging" app, but just a better messaging app, plain and simple. A number of fun features are built into the app, and more are on the way in an update that lands this Tuesday, most enticingly the capability to doodle on top of pictures before sending them to recipients. 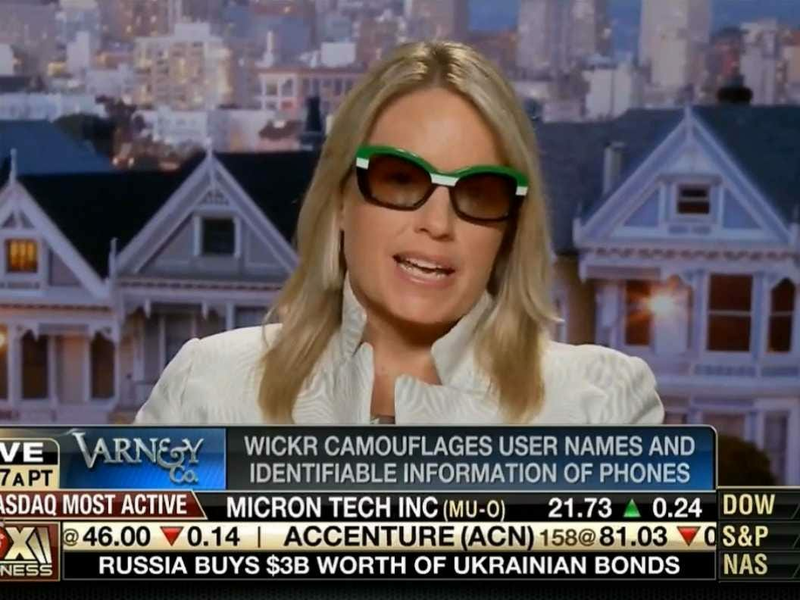 Wickr users to date have sent "hundreds of millions of messages." You can download Wickr for free on iPhone and Android.